Betke, Carl. "Lac La Biche". The Canadian Encyclopedia, 12 May 2016, Historica Canada. 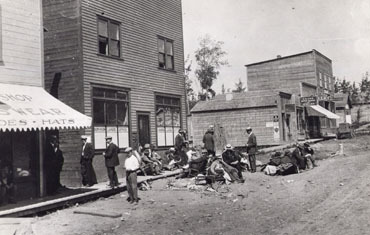 https://www.thecanadianencyclopedia.ca/en/article/lac-la-biche. Accessed 24 April 2019. Lac La Biche, Alta, incorporated as a municipal district in 2007, population 8402 (2011c), 9123 (2006c). Lac La Biche County is located 225 km northeast of Edmonton on the south shore of the lake of the same name. Lac La Biche, Alta, incorporated as a municipal district in 2007, population 8402 (2011c), 9123 (2006c). 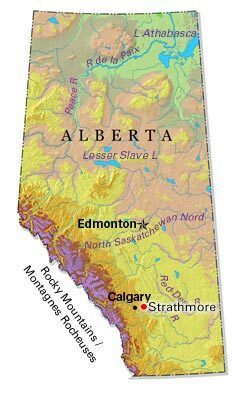 Lac La Biche County is located 225 km northeast of Edmonton on the south shore of the lake of the same name. Incorporated as a town in 1951, Lac La Biche amalgamated with Lakeland County in 2007 to create Lac La Biche County. The lake was named after the elk in the area that reminded the fur traders of its smaller European cousin. North West Co and Hudson's Bay Co (HBC's) posts established as early as 1798-99 indicated the lake's early position on FUR TRADE ROUTES. "Portage La Biche," once a well-travelled connection, is the carry between the waters of the Beaver River, which is in the Churchill Basin and Lac La Biche, which is in the Mackenzie Basin. In 1853 both an Oblate mission and the HBC's Lac La Biche post were located near where the townsite would be established after the Alberta and Great Waterways Railway from Edmonton reached that point in 1915. The Lac La Biche Mission, now a national historic site (1990), was relocated to its present location 10 km west of the townsite in 1855-56. The mission was once known as "l'entrepot du nord." French Canadian settlers joined Métis and other original occupants. Later settlers were of Lebanese, Russian and Ukrainian origins. Today the economy is based on forestry, oil and natural gas and agriculture. Tourism began when railwayman J.D. McArthur opened the Lac La Biche Inn in 1916. The town is the gateway to Sir Winston Churchill Island Park, created on the largest island of Lac La Biche in 1965 and of nearby LAKELAND PROVINCIAL PARK, established in 1992. Portage College is located in Lac La Biche County.